Chris Reeve is a perfectionist and it shows in all of his knives. 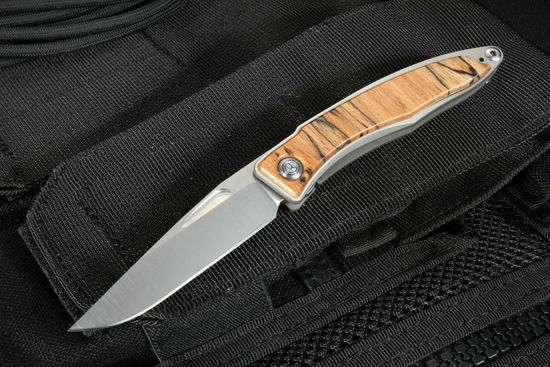 This is a great gentleman's every day carry knife for those who can afford it. I love the deep carry placement of the clip. I am so used to having a thumb stud it has taken me a few days to learn how to open it with one hand. Saw the knife. Liked the knife. Bought the knife. Rodney chose the knife (Thank You again). And sent it to me. I received it in several days from the purchase date. Love my knife. Best Regards. What can I say? 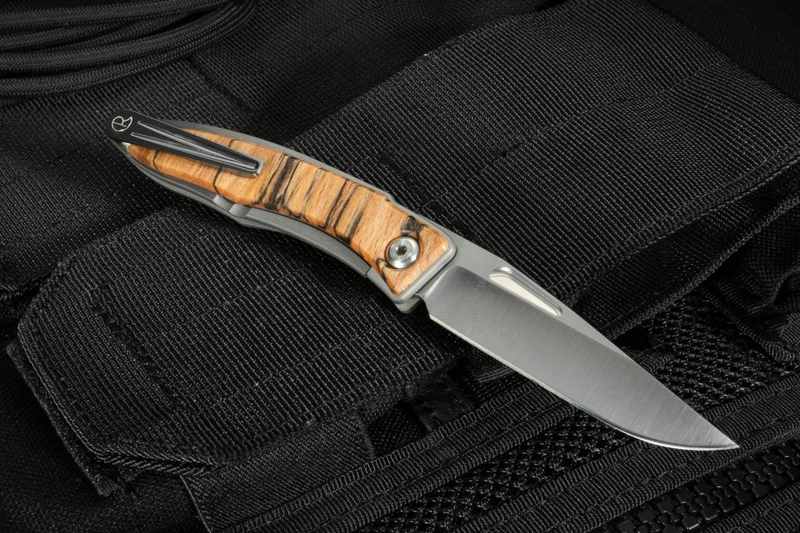 The Mnandi is the king of gentleman's folders and the Snakewood version adds an incredibly beautiful touch. Of course, this knife will do whatever you ask of it as well as anything in it's size range. And, to top it all off, the fit and finish is amazing. Truly one of the best values to be had anywhere. I spoke to Larry regarding the particular type of snakewood I liked and he was kind enough to check out a knife of my preference. I'm sure they are all great, but he did go to the trouble of doing it for me and I appreciated it. The knife arrived on time and is a little stunner. I was torn between the small Sebenza and this, but in reality, because I live in NJ and travel to places where knife laws can be vague at best, this seems to be a good solution. The one down side of the knife is the fact that it is not a one handed opener. In the case of a gents knife however, and wishing to avoid contest with the law, I think it's actually good that it is not regarded as a tactical design in this way. I don't see how anybody could be disappointed with this knife and it's of a quality that you would want to pass on to a son. The choice of small leather holder or the clip is great and the knife fits in the pocket nicely. Another 48hr delivery from the US to the UK. First class service. Knife is absolutely brilliant, a real top draw gentleman's folder that is capable of more if you need it. Get one of forever wonder what you've missed!